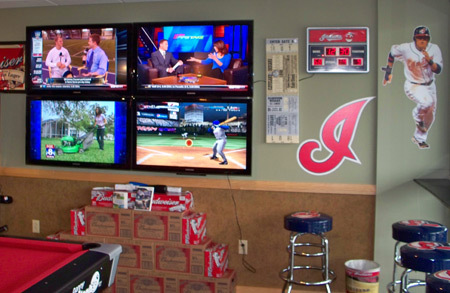 You may have seen the Man Cave on TV. It's a room that has been loaded with "guy" things and serves as a refuge or sanctuary from the everyday world. But why should men have all the fun? 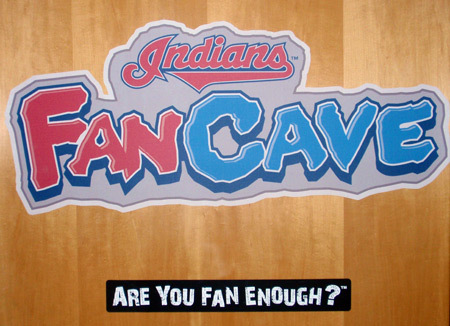 If you are fan enough, you can experience the FANCAVE at the Indians games this year. 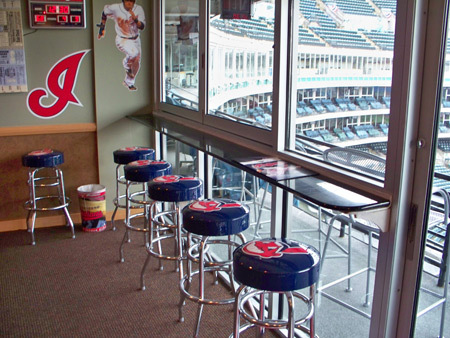 The FanCave is one of the new attractions at Progressive Field. Any fan can rent the suite for 12 people for a game to throw a party, host an event, entertain clients or just have an amazing experience. 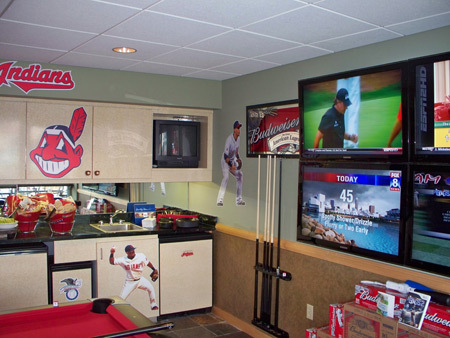 The FanCave includes the "Bucket List" of foods and beverages - wings, Budweiser, Pepsi and other items you would expect in a Fan Cave. 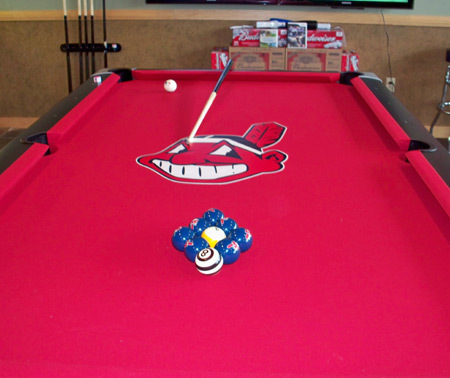 The suite is loaded with Indians items and includes a custom Chief Wahoo pool table which converts to a ping pong able and an arcade game featuring all the classic, old-school games. There is a terrific view of the field from the Fan Cave but you can also see the action on th 6 HD TVs mounted in the Cave. 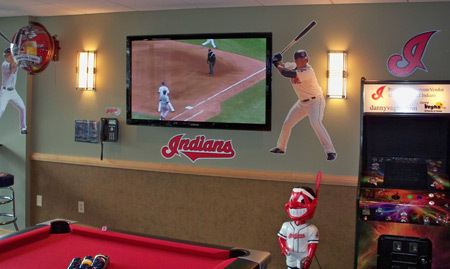 Or play along using the Wii baseball game while you watch the Tribe play. 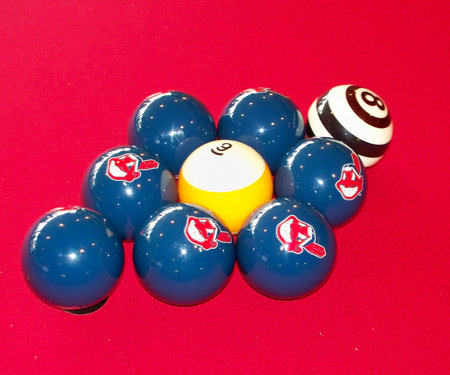 Fans will notice special details like the Wahoo pool balls. One of the most fun details is in in th bathroom. Yes, the bathroom. 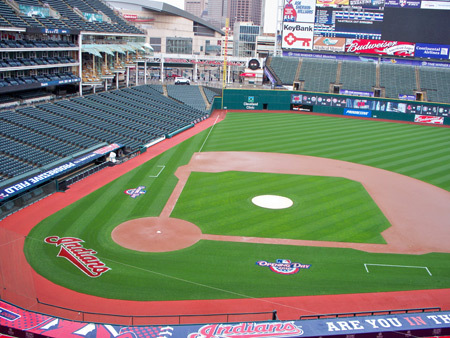 Besides the TV and Indians and Budweiser decor, fans will be able to show their disdain for the visiting team in a unique way. 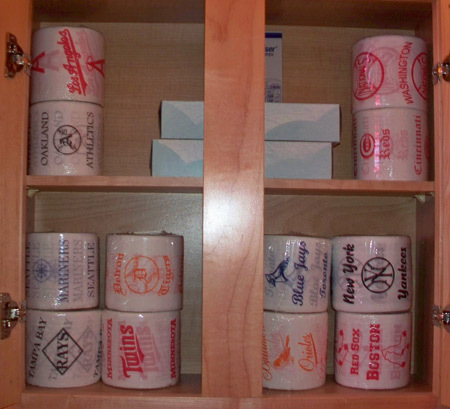 The Fan Cave bathroom features toilet paper imprinted with the logo of the visiting team. 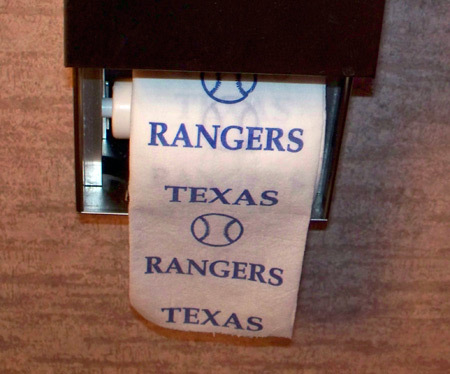 TP featuring the Texas Rangers is already loaded on the roll for the Opener. 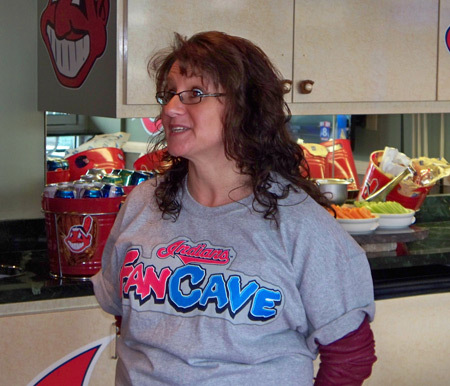 Take a quick tour of the Fan Cave in this video with Indians Director of marketing Sanaa Julien. And, of course, watching a baseball game and eating seem to go hand in hand. 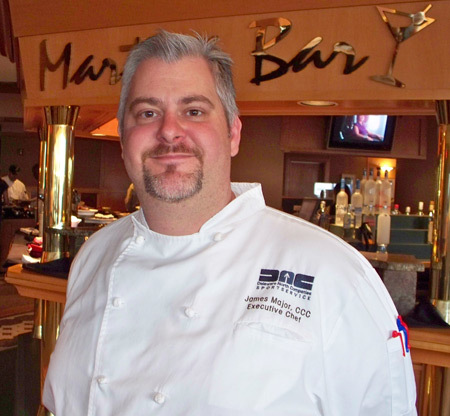 Executive Chef James Major and his team have produced menus that go far beyond the traditional baseball fare of peanuts and Cracker Jack. See you at Progressive Field! Copyright � 2010 ClevelandWomen.Com. All Rights Reserved.